Vodafone UK is offering up a £10 discount on a wide range of Pay-As-You-Go smartphones on the run up to Christmas and this includes the popular BlackBerry Curve 9320. Where Vodafone has a slight advantage over some of the other carriers is that they sell the budget BlackBerry in five different colors - black, white, classic blue, vivid violet and pink. The device will set you back £120 with the discount, which is pretty reasonable. 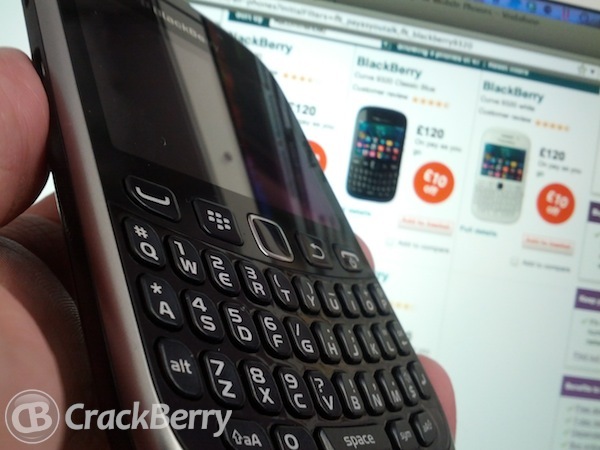 For consumers on a budget, the BlackBerry Curve 9320 will give you the whole BlackBerry experience without breaking the bank. With Christmas just over a week away this could be perfect for a gift? The 9320 comes packed with the latest version of the OS - BlackBerry 7.1 and obviously it is perfect for social media, email and BBM just to name a few features. And not forgetting the glorious hardware keyboard. If you like to stand out from the crowd with a funky coloured BlackBerry head on over to the Vodafone website.